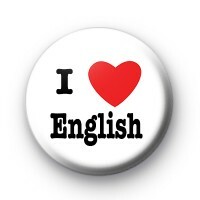 I love english badges are great for teachers and lecturers. Great to give out to your students and a must for everyone who loves english language and english literature. GCSE and A level exam badges.